Magic levies a steep price on anyone brave enough or stupid enough to dabble in it. Wizards never forgave Ned for not being one of them. They didn’t exactly come out and say his life was expendable, but they didn’t have to. He figured it out fast enough when they conscripted him into their long-running war the second he was old enough to fight. Isolated, different, he puzzled out how his brand of magic worked on his own. When he’s finally, finally sent on a solo mission, he vows to make the most of every single moment of freedom. Fleeing the tide of doom wiping out humanity, Amanda and her family escape to a remote corner of California, where they eke out a hardscrabble existence. With her parents at each other’s throats and her brother mysteriously gone, Amanda runs up against malevolent power beyond her wildest imaginings. Captured by the undead, she’s about to join their ranks when Ned shows up. Attraction ignites—hot, urgent, delicious—but celibacy may well be the price of Ned’s magic, and he can’t risk his power. Or can he? Even though he stands to lose everything, Ned doesn’t hesitate after Tantalus—one of the insidiously beautiful dark gods—kidnaps Amanda. Defying a direct order from his wizard battle lord, he goes after the woman he loves. Even if she can’t ever be his, he’ll be damned if he’ll leave her to the dark god’s whims. Standalone, full length, new adult, urban fantasy romance with an HEA. This is a story about Ned, a human mage, that has lived with wizards his entire life. They have never shown him any compassion, and look upon him as basically cannon fodder. Ned travels to the Sierras to relax and happens to catch a kidnapping of a human girl, Amanda, in progress. He stops the kidnapping, and along the way he falls in love with her. He finds out that her older brother was kidnapped several years before. He meets up with his mentor, Karras, while helping Amanda's family. Amanda gets kidnapped again, and Ned has to enlist the help of the wizard stronghold that he grew up in to rescue her. I won't give away the ending, but it does have a happy ending. I found this book hard to get started, which is why I gave it 4 stars instead of 5. Once I got into the book, I couldn't put it down. Ann's description of the relationship as it develops between Ned & Amanda hooks you. Through their innocence, you can't help but fall in love with them both. The book is filled with Gods, Goddesses, and all kinds of "boogeymen". There is action & some violence, but all in all this is another must read of Ann's. Magick, Mages & Wizards-What more can you ask for? Received this book free for an honest review. I loved this book! I loved the journey that it took me on. It's amazing what you can accomplish if we all worked together. Family is very important. You should nurture them and love them, always. This book has so much magick and mythology, that it will make your head explode. Ann Gimpel knows how to pull you into a story. When you read this book, you get pulled in and you feel like you are there, experiencing everything the character does!! I was given and ARC of this book for an honest review This is not my typical genre of books, but I adore Ann's writing so I took the plunge and read it, I have to say Ann did not disappoint me. This book was a hard read for me only because I do not enjoy Dystopia genre books, But Ann has a way of writing that pulls you into a story, You just come to love the characters and the plot, You feel a connection to them. I feel that if you enjoy Dystopia genre books then this is a book you will LOVE, Thank you Ann again for allowing me this opportunity. I was given a free copy of Marked By Fortune by Ann Gimpel in exchange for an honest review. This is another great read by Ann. Wizard’s put themselves above anything human or part wizard and human or anything else. Ned has been raised by Wizards, but barely tolerated by them. Ned is an Earth Mage. He is sent out to fight with the Wizards, hoping that he will be killed. Ned is sent to find a woman in the mountains and he winds up finding out what belonging to a family is really like. Ned has never felt that he belonged. Ned just wants to be accepted no matter what he is. Ann again weaves a wonderful story about how the humans are killing the earth with all the pollution. Again her description of the characters is so realistic that I can picture the demonic beings that spill from the bowels of earth. 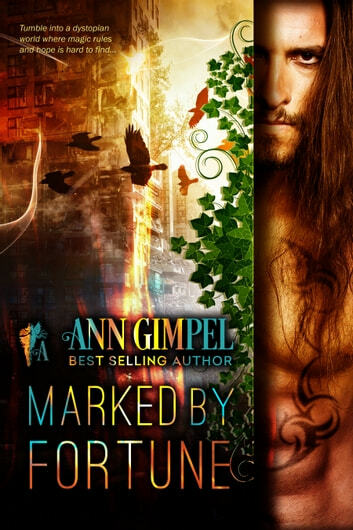 Earth’s Requiem is another winner written by Ann Gimpel. Be sure and grab your copy so you can look forward to reading it on a lazy afternoon.